You don’t really want to be me. Some of my friends think they’d like to be me. To work a bit and make money a bit and drive a nice car a bit. To have nice things and to sell this place. It’s luxurious, they think. It’s fun, they imagine. But they’re wrong. Everyone is wrong. What I really do is take nice people out in my car and show them this lake. I show them this lane and that drive. I take them here and down there. I show them what it is we do here, how much better it is. The scene is easy to love. The water, same. The boats and the woods and the sails, it’s all rather intoxicating, and nearly everyone agrees with this. The problem is the real estate. Do you know how deflating it is to show someone homes that cost millions of dollars that are, as a point of fact, awful homes? This is the Lake Geneva problem. This is my problem. This market is expensive, there’s just no getting around it. But it’s expensive for a reason, for many reasons, and it’s worth it. But whether it’s worth it or not, the homes that buyers can buy are often disappointing. They need significant updating. Or a wrecking ball. Or they lack this and that. They always lack. I’d buy this house if only it had (insert anything here, anything at all). With this housing deficiency understood, imagine now my delight in bringing you this new listing at 1100E South Lakeshore Drive in Fontana. 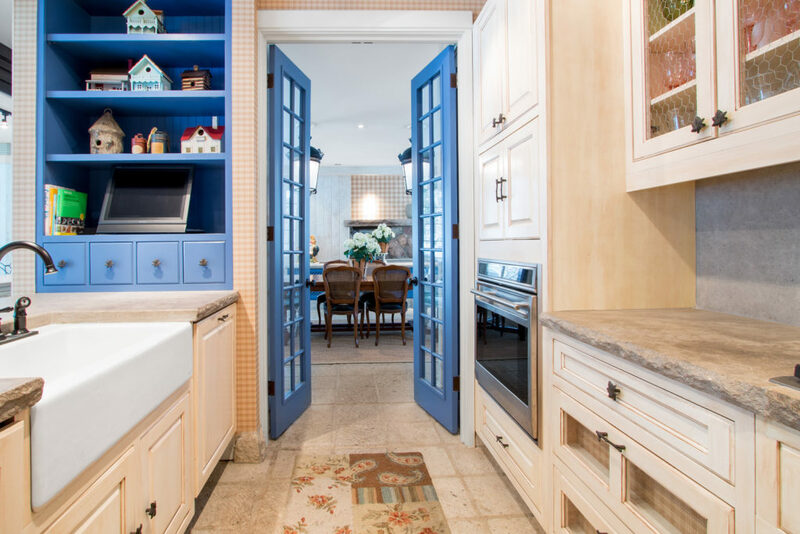 This house measures more than 5000 square feet. It has a two car garage. Five bedrooms. 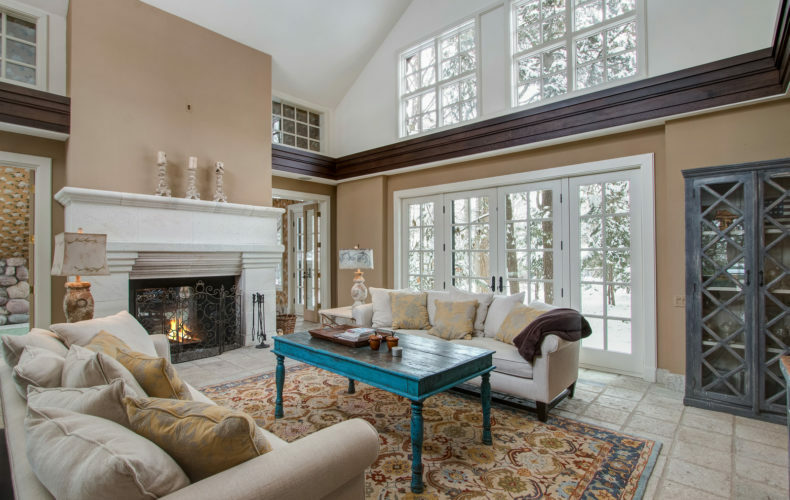 A large great room with tall ceilings. Four fireplaces. Huge outdoor patio space. 1.78 acres of wooded privacy. Two driveways with ample room to park as many as a dozen vehicles. It has a shared pier with a canopied slip. The current owner keeps his 27′ Cobalt there. I suppose you could put yours there as well. There’s SubZero and Wolf. Stone and granite. Big wooded doors that swing on huge steel hinges. 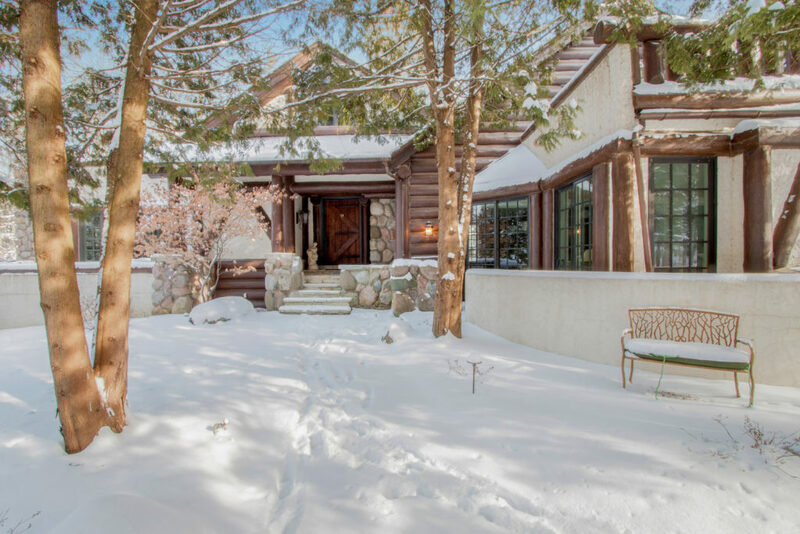 This isn’t so much a mere lake house in Fontana as much as it’s an Adirondack Lodge in Fontana. But this is the house, the big, beautiful house. That’s not what really sets the property apart. It’s that privacy, that delicious, rare, wooded privacy. It’s the Fontana location with water and sewer and an easy walk to town or the Lake Geneva Yacht Club. It’s these things, but it’s much more. 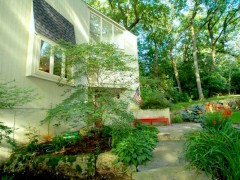 Here we have an inground swimming pool, set back in the woods surrounded by lush perennial gardens. There’s a Lord and Burnham Greenhouse, one that causes me to green with jealousy every time I enter. The current owners don’t use it as a greenhouse, they just use it as a pool-toy storage center, but I’d use it as a greenhouse if it were mine. Once you buy this house, I’d like it if you’d use it as a greenhouse again. It’s not just a big house with all those fireplaces and a pool and a greenhouse and so much wooded privacy on all that land. There’s a tennis court, too. A tennis court with lights and basketball hoops. The current owner holds the Spotted Cow Open here each year. I’m surprised you’ve never heard of it. The sponsorship by Spotted Cow isn’t official yet, but they should appreciate the free advertising. If you’re tired from tennis you can retreat to the pool, and when you tire of the pool you can enter the greenhouse. The tomatoes need picking. This comes back to the price. $2.99MM for all of this lakeside luxury. This house gives you what other homes in this price range can’t. 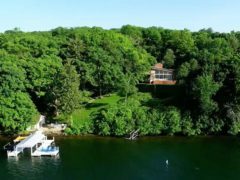 You can buy a lakefront home for this money, easily and often. But you can’t buy an estate with these country club amenities. Even if you could, it wouldn’t be in Fontana and it wouldn’t have a pier, and it certainly wouldn’t be walking distance to the Yacht Club. My job typically forces me to sell around what isn’t there. 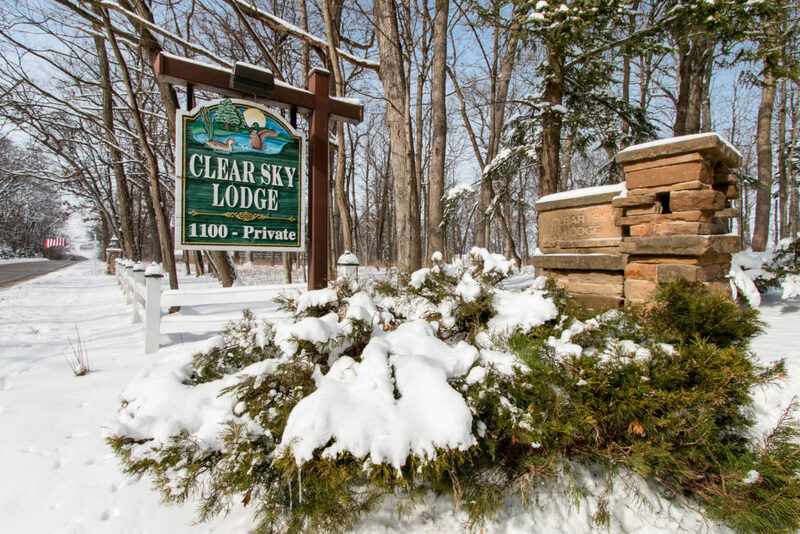 In the case of this Clear Sky Lodge property, there’s nothing I need to sell. The property does it for me. Available for private showings this weekend.